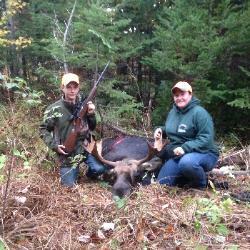 harvesting a bear, moose, deer, and turkey- the Maine "Grand Slam." call was unforgettable. This was Jayden's First Moose. never forget! 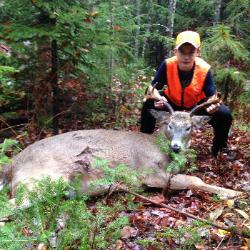 This was Jayden's second Maine Buck. stone wall for cover, Jayden connected with a hen turkey. 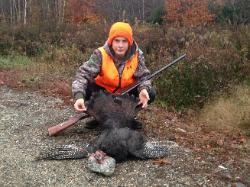 This was Jayden's second Maine Turkey.